BSCI is an initiative of the Foreign Trade Association. Its Code of Conduct is built on recognized labour standards protecting worker’s rights, and focuses on improving working conditions in supply chains worldwide. 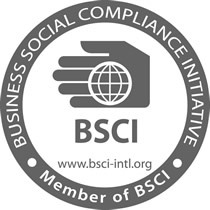 TOPTEAM has been a member of BSCI since 2012. At TOPTEAM, sustainability is intrinsically linked with responsibility, we are dedicated to our work and clients but also to the society we live in. 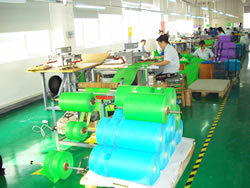 It is very important for us to provide better working conditions for our factory colleagues. Thus, by the implementation of the BSCI management system we lead to better product quality, higher productivity fewer work accidents, less sick leave producing, more highly motivated workers and lower staff turnover.